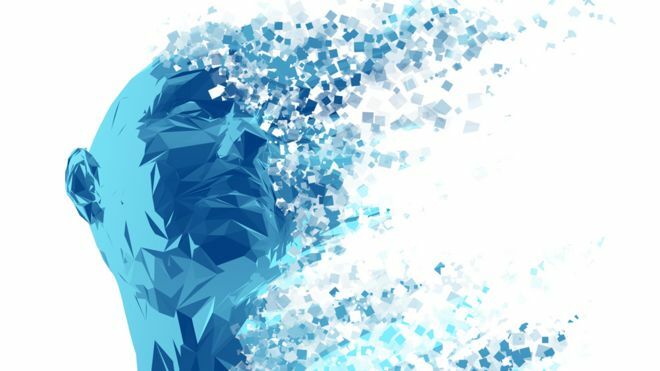 Find below a list of Mental Health Resources that you may find useful for your own Mental Health journey. You may also wish to register on this website (see registration section on the right hand side) for occasional non-promotional local NHS information emails by Dr Kittel and Forest Health PPG. This entry was posted in Resources on 14/03/2019 by Dr M Kittel. 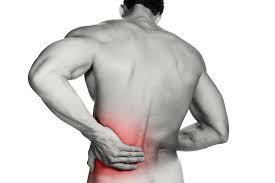 Low back pain and Sciatica are incredibly common conditions in highly developed, civilised societies. According to some reports, more indiginous societies (i.e. tribes in the Amazon etc.) rarely suffer back pain. This is probably due to better core strength in less civilised peoples. These 2 conditions are the most common ones causing patients pain and disability. There is a really good overview on the NHS website . However, there are a few additional resources that I would like to share. The StartBack Tool is a good tool to assess the chance of Chronification in Low Back Pain. Click here to download and complete it. The scoring method is explained on the second page. If you score highly, seek help early, as you are much more likely to suffer this condition for a long time. Almost 20 years old, this booklet is still very relevant and helpful. Click here to download this file. It is double sided A5 and a bit tricky to print, but the content is very good. The Book: Robin McKenzie, “Treat Your Own Back” for a quick fix. This is a 30 year old book based on a 60 year old method that my own doctor recommended to me and truly, with a few stretches, a lot of people are able to improve their back pain quite significantly. Thus, I believe it is the best £10 I ever spent on my own back. An MRI scan is a tool to get a good 3D photograph of our spine. It is very sensitive to abnormalities like disc bulges, slippage etc. However, many people with disc bulges lead completely normal lives without any symptoms. Equally, people with entirely normal MRI scans suffer severe back pain. Click here for MRI scan results of the spine for normal people without back pain. Should I see my GP with Low Back Pain? Most GPs are not well placed to treat Low Back Pain. Apart from painkillers, with a various degree of side effects and health hazards attached to them, they often can do little to help back pain. However, many practices now employ senior physiotherapists (First Contact Physiotherapists), who can be helpful in the assessment and treatment co-ordination of Back Pain. Of course there are exceptions where Low Back Pain has more serious causes and there is a good summary on the NHS website quoted above. If you think your symptoms may be more serious, you should see a health professional quickly. This entry was posted in Resources on 04/03/2019 by Dr M Kittel. Please find below the Prevention and Self Care report for the Frimley ICS 2018. While mainly aimed at Health Professionals I believe you may find the information inside interesting, particularly page 6 of 17. 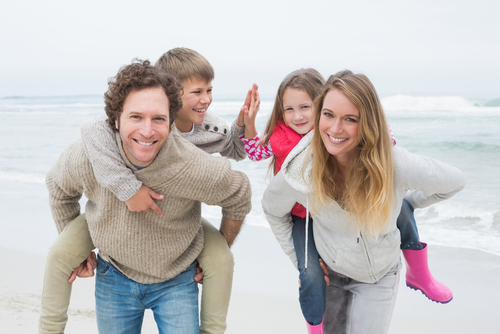 The Bracknell Programme may be good for yourself or a friend or family member? Click here if you cannot see the document below. This entry was posted in Activities, Courses, Groups, Resources, Services on 18/12/2018 by Dr M Kittel. Reduce your protein intake significantly (protein clogs up kidneys). Avoid food additives, the list is endless. Kidneys are amazing organs. They detoxify our bodies on a daily basis and get rid of most things the liver and bowels cannot get rid off. And many people have healthy kidneys until their old ages. However, an increasing number or people in the UK have Chronic Kidney Disease. (CKD), similar to blood pressure is actually a condition rather than a disease as most people dont really suffer with it. Many people do not have any symptoms or only have minor symptoms until the condition is relatively advanced. Usually, patients need 2 readings of an eGFR (the rate at which your kidney works) below 60, 3 months apart, to be diagnosed with CKD stage 3. A single reading is not enough. Stage 3 means that you have now moderate disease (stage 2 is mild and stage 1 is normal and these stages are medically only important for people with pre-existing kidney damage). However, I would encourage everybody with CKD 2 to already take measures to avoid their kidney function to drop. Aging drops kidney function anyway, but it is the acceleration of this drop we need to avoid. Simply go to the top of this page for the key messages. I have got CKD 2 or 3 – What next? Get informed – the internet is your oyster. There is so much written about a kidney friendly lifestyle. Prepare – Change your diet, get fitter, try to be positive and happy if you can, drink plenty of water, implement the key changes listed above. Be critical – Protein clogs kidneys up, yet a lot of recipes even on really good websites contain too much protein and too little vegetables. Also, remember, replacing animal protein such as meat and dairy products with plant proteins such as beans, lentils and tofu is better for your kidneys. Learn about kidneys. Make up your own mind. And do what you think is right. This entry was posted in Resources on 29/11/2018 by Dr M Kittel. Start the day with a mix of fibre and seed containing foods with plenty of fluids can relieve constipation in 80-90% of patients. All these incredients can be obtained at health food stores i.e. Holland & Barretts and mixed according to taste in a big cereal container. Eating a bowl of this cereal every day will after a few days relieve most peoples constipation. Patients suffering irritable bowel syndrome are advised to avoid dairy and eat the cereal using a variety of fruit juices. Should you still suffer symptoms after starting your dietary changes, please see your doctor again. For very young children that cannot yet have the above cereal I usually recommend to give Porridge with some Linseed and a mashed up banana for breakfast (mash and mix banana into hot porridge to cool down and add linseed). You can also put linseed into yoghurts etc. Click here to download the recipy below in a printable .pdf. This entry was posted in Resources on 26/11/2018 by Dr M Kittel. How Much Physical Activity Is Good? What Public Health England advises regarding physical activity. We know from research that from all medical interventions we pay for to improve the health of the population and reduce hospital admissions exercise based interventions give some of the best investment returns. That’s for example why we paid for additional pulmonary rehabilitation interventions in Bracknell & Ascot in order to improve the life of patients with respiratory conditions. That is also why we have sponsored a lot of other activity based schemes. And lets be fair: While most of us find it hard to stick to a daily fitness routine we all know how good it feels when we have been active. So, ask yourself the question. When have you had your last muscle ache due to exercise? When have you last been out of breath so you couldn’t talk because of exercise? Find below information on how much activity is good for us. You may be surprised, but the body is made to sweat and be active! If you are looking for a way to go from nothing to be able to run 5K, why not try the BBC “Couch to 5K challenge”. However, a word of warning: Patients with chronic conditions, on permanent medication or otherwise disabled may have to start slowly when taking up exercise or may need support by a health coach or physiotherapist. This entry was posted in Resources on 04/07/2018 by Dr M Kittel. Books on Prescription – referral form and the Book Outlines2 (Free for patients from Bracknell & Ascot CCG, but the books are available online). Local Counselling Services Available (Bracknell & Ascot CCG), but many of the services are available elsewhere, too, so just google it. This entry was posted in Resources on 16/08/2017 by Dr M Kittel. Today the Telegraph and many other newspapers published a top of the frontpage article in which the headline suggested patients shouldn’t complete their courses of Antibiotics, but stop Antibiotics when they feel better. I believe this is irresponsible journalism considered the public health implications such a message carries. The initial statement was based on a professional publication in the BMJ. This publication was intended to inform a debate between professionals, not intended for public education. I also believe 2 of the 4 key messages in the BMJ are not evidence supported and will write to the BMJ about this. The BMJ argues the basic argument why we complete our Antibiotics is, apparently, not based on sound research, but on a statement of Sir Alexander Fleming, the inventor of Penicillin, at his Nobel Price speach in 1945 (he recommended to finish courses of Antibiotics to reduce resistance). The Telegraph unfortunately created a rather dramatic headline, taking the message out of context. And of course Fleming had a strong argument. He had seen what had happened to one of his colleagues that had not enough Penicillin available and died. The BMJ writes: “When Howard Florey’s team treated Albert Alexander’s staphylococcal sepsis with penicillin in 1941 they eked out all the penicillin they had (around 4 g, less than one day’s worth with modern dosing) over four days by repeatedly recovering the drug from his urine. When the drug ran out, the clinical improvement they had noted reversed and he subsequently succumbed to his infection”. 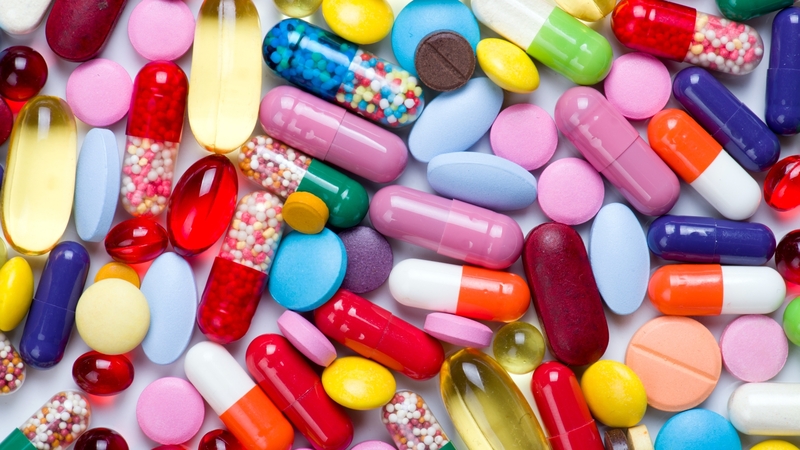 Only as recently as 2014 the prescribing guidelines for children for Penicillin and Amoxicillin, 2 of the most commonly prescribed Antibiotics, were doubled in all doses. In fact, some of the BMJ article contains indeed very good and important information. It may be that the argument to stop Antibiotics earlier proves correct in time to come and after (a lot) more research. However, I dont think this can be generalised, I just believe that we need to get more specific advice for different conditions and patient groups. And it may actually be correct that in some illnesses we could recommend to treat only until patients feel well. This may be the case for example in simple urine infections. It is also true in a lot of the viral illnesses that we take Antibiotics for without any good reason (in fact we should not have them in the first place). Another argument sometimes quoted for stopping antibiotics early is that Antibiotics do not have to kill every last pathogen (=bacteria, bugs), but only enough for the immune system to get rid of it and therefore they do not need to be finished. This may be true in some infections in healthy individuals, but not in patients with co-morbidities (different chronic diseases) and reduced function of the immune system i.e. patients with diabetes, Rheumatoid Arthritis or older patients. However, a good example where Antibiotics should not be stopped is an abscess. Particularly in dental abscesses the only thing that usually cures the abscess is removing the pus by removing the tooth or draining it through a root canal treatment. All antibiotics usually do is stop the spreading of the pus into the blood stream and therefore stopping blood poisoning. If you stopped the Antibiotics after you feel better you would usually soon feel worse again, the fevers and shivers and the pain would start again. Another example may be tonsillitis. Pus can get stuck in crypts (little holes) in the tonsils and it is actually still recommended to take a 10 day rather than a 7 day course. Many patients that finish a course early or have been given too short a course are coming back with a recurrence of symptoms. A lot of patients have to have very long courses of Antibiotics. Conditions that spring to mind are TB, HIV and even a condition as simple as acne. Also, other patients are on Antibiotics preventatively i.e. for the prevention of urine infection or after a splenectomy (removal of their spleen). My plea is therefore to wait until new research and guidelines are released that support some of the scientifically scantily supported assumptions made in the press today and still to continue Antibiotics as prescribed by health professionals. For the moment the simple message ingrained into the mind of the public and health professionals remains: Do finish your course of Antibiotics unless advised to the contrary. Please share or re-publish this article at liberty. PS: For the people interested in the academic part of the BMJ article: The 4 key messages of the BMJ and my first thoughts. My response: The first part of the sentence is likely to be correct although the evidence is based on relatively small trials and lots of assumptions. But the second part of the sentence “not when stopped early” only considers risk from Antibiotic resistance to patients. It doesn’t consider the benefits antibiotic treatment gives patients when taken correctly and for right amount of time not the risk of re-infection and an even bigger course of Antibiotics if they have to be restarted. It also puts generally healthy individuals into the same category as sick and immunosuppressed patients. For common bacterial infections no evidence exists that stopping antibiotic treatment early increases a patient’s risk of resistant infection. My response: No evidence exists to the contrary neither. The absence of evidence is not evidence of absence. Simply identifying a lack of direct evidence, or randomized controlled trials, is not sufficient to overturn decades of clinical practice. And why change the guidelines and put vulnerable individuals at risk before we don’t have such evidence? Finally, potential antibiotic resistance in the future may be less of concern in an individual that is very sick at present? Antibiotics are a precious and finite natural resource which should be conserved by tailoring treatment duration for individual patients. My response: This is 100% correct. Clinical trials are required to determine the most effective strategies for optimising duration of antibiotic treatment. My response: I believe this is correct, therefore the strong recommendations within the BMJ article should be withdrawn and science should be supported to do the research needed to get us the answers to the questions that have been raised. This entry was posted in Public Health, Resources on 27/07/2017 by Dr M Kittel. Planning to travel this summer? 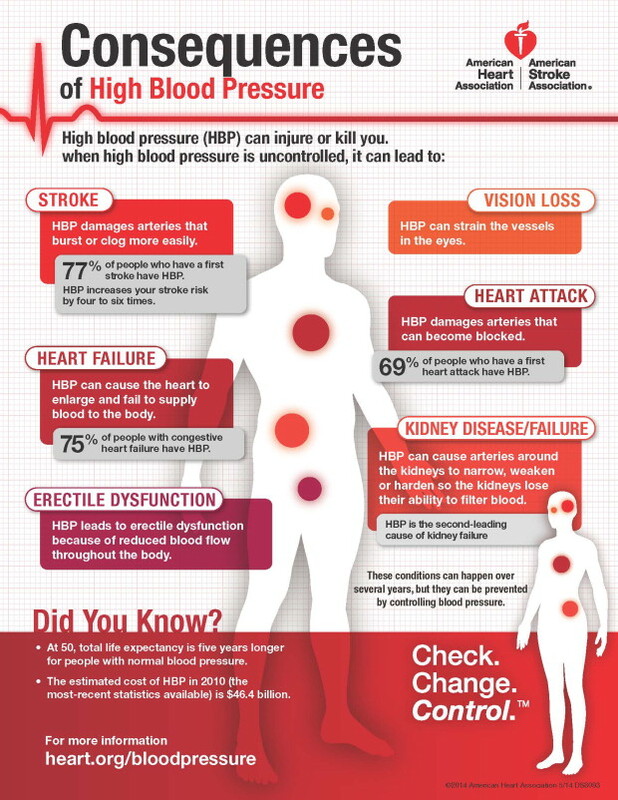 A well controlled blood pressure could reduce your insurance premium. If you are planning to travel abroad this summer you should ensure now that your Blood Pressure (BP) is well controlled. An undeclared elevated BP reading in your medical records could invalidate an insurance claim, particularly if the problem is a stroke / heart attack or a blood clot during travelling. Thus, if you have had BP readings higher than 140/90 you need to see a doctor or nurse to ensure your BP is reduced. If you have online access to your records, check it now. If not, get online access today. Like any other medical condition even a normal blood pressure, if controlled with medication, has to be declared. If you think you may have a note entry of a high BP, but your actual pressure is lower you can submit home readings performed to NICE guidelines (average of 2 readings twice a day for a week) . Your surgery can put those into your records. Please read this page and download the BP control sheet. If you are on blood pressure medication and your BP is well controlled it could reduce your Travel Insurance Premiums. The entry of a normal BP in your records is very re-assuring. And finally remember: Reducing Salt, Fat, Sugar, Alcohol, increasing exercise, vegetable intake and being happy and de-stressed all reduce your Blood Pressure. Happy Holidays. This entry was posted in Resources on 08/06/2017 by Dr M Kittel. We all want to be healthy and happy this year. What better time to form a good New Years Resolution? And what better if the New Years Resolution is free? Therefore I have put together a little leaflet pointing out a few opportunities in Bracknell, that may help you in your quest for better health. You may not know about some of the resources. But first, click here to sign up for the Newsletter on our website for information about free self care resources in Bracknell & Ascot. We send you short and non-promotional information about opportunities that are generally free and government funded. Go and see your practice nurse for a so called “Activate” Referral for free / reduced price exercise. One, two and three mile walks with a visit to the cafe afterwards. Second and fourth Saturday of the month at 10.30am. Call 07443 499207 for more information. Postcode: RG12 7DE. Summer evening walks for people of average fitness are also available from Horseshoe Lake car park on Wednesdays at 7pm, starting on Wednesday, 27 April. Visit the Health Walks website for more information. One, two and three mile walks with a visit to the cafe afterwards. Every Saturday at 10.30am. Call 07443 499207 for more information. Free service with https://www.smokefreelifeberkshire.com/ call 0800 622 6360 or text QUIT to 66777. Drinking too much? Problems over Christmas with the family? Relationship on the rocks? Click here for local AA information. If you don’t like AA and you are looking for a professionally led service, contact the iHub for New Hope. New Hope is a professionally led service to help your daily life by either helping you to ditch drugs or prescribe drugs, which let you function in your environment better. Click here for more information. For help to live with a chronic condition or health problem, contact Healthmakers for their new courses. A great community with inspiring people help you to fulfil your goals much easier. Its free coaching and much more. Contact: HealthMakers@berkshire.nhs.uk or telephone 01344 415947. Start taking control of your Blood Pressure and buy your own equipment. 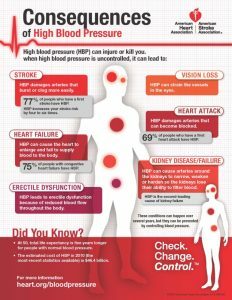 Click here for more information and to download a clinically approved BP monitoring chart in accordance with NICE guidelines. Missing a beat in your pulse can be serious. Click here to learn to check your pulse and do it regularly! If you are over 60 you qualify for screening. Don’t throw away your kit, you could be throwing away your life. Click here for information on how to get a new kit and how to do the test. Ladies over the age of 25 years can have a smear every 3 years. Women between 50 and 64 can have a smear every 5 years. Contact your GP surgery if you have forgotten your smear. If you are over 40 and haven’t done your free NHS Health Check, yet, hurry and book it before you forget it. Contact your GP surgery and ask for a Free NHS Health Check appointment. If you are under 25 years old and concerned about Chlamydia, a sexually transmitted disease, text REACH followed by your full name and address to 80010. This entry was posted in Activities, Resources, Services on 03/01/2017 by Dr M Kittel.